Children are the future of every country. Therefore, their education is one of the most sustainable projects that a society can invest into – but only if there are any sources of funding. 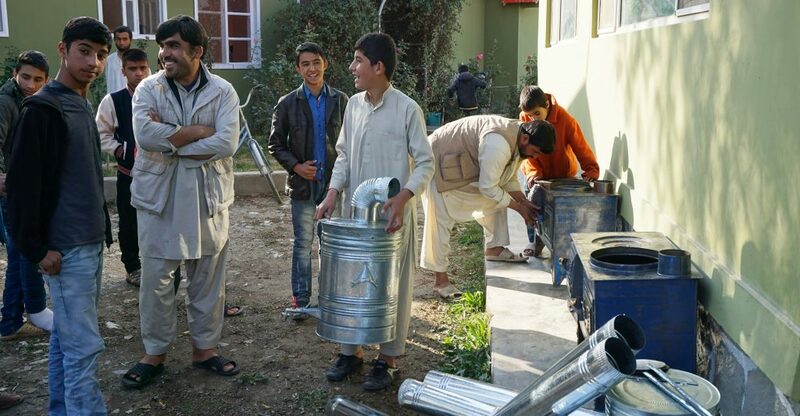 On the outskirts of Kabul over 100 children found a light flooded safe place and a home. It is not without a reason that this house is called ‚Paiwand-e-Noor’ – literally meaning ‘source of light’. This house is a peaceful haven far away from the shadows of the war. 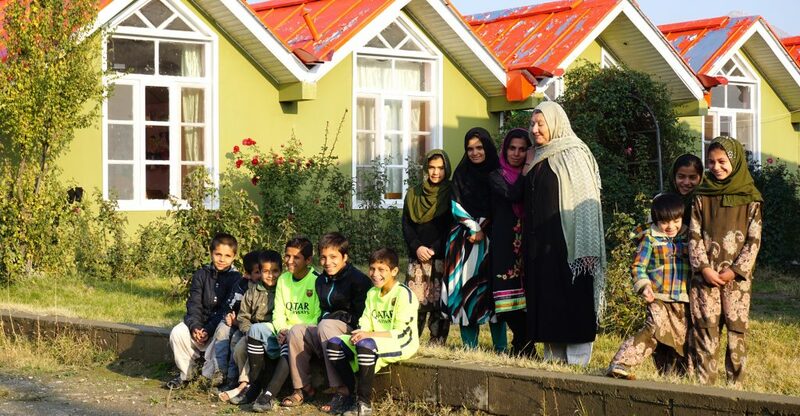 This impressive project provides war-battled children a home and supports them. Since three years we visit the children’s home regularily. Every single contribution helps to make the children’s future a little more peaceful and free from sorrows. Join in! Build in 2005 the project not only shelters orphans but also children who cannot be sufficiently supported by their own families. All children who are playing and learning here are traumatised. Growing up in a country that has been struggling with enduring conflicts for the past 38 years, they experienced the dark side of war. 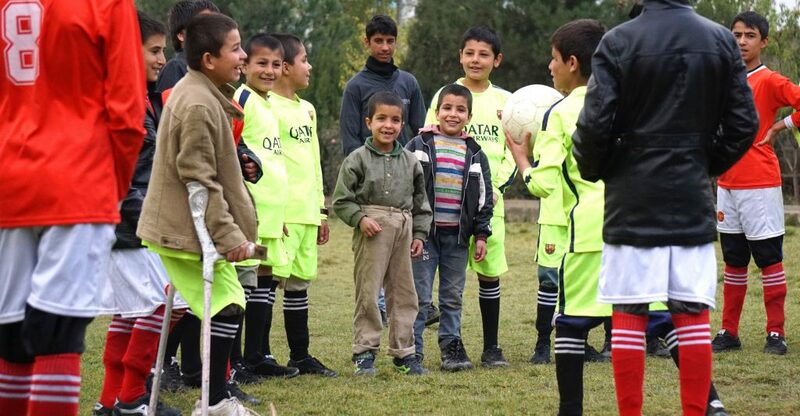 War injuries have physically disabled many Afghan children. 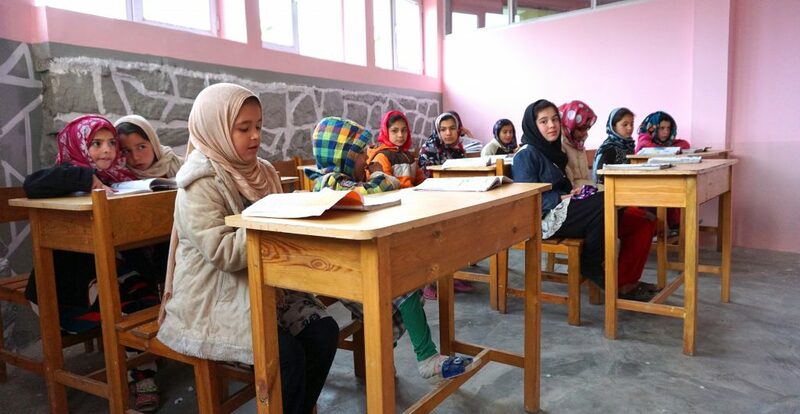 The project helps children, who need protection and support, including them into a family environment and enabling them to pursue a school education and a career so they can finally live a self-determined life. Passing on important values like understanding, friendship and tolerance are the educational key concept of ‘Paiwand-e-Noor’. Family and community structures form the base of the living together. Inside of the enlivened common rooms the kids handicraft, crochet and play together. 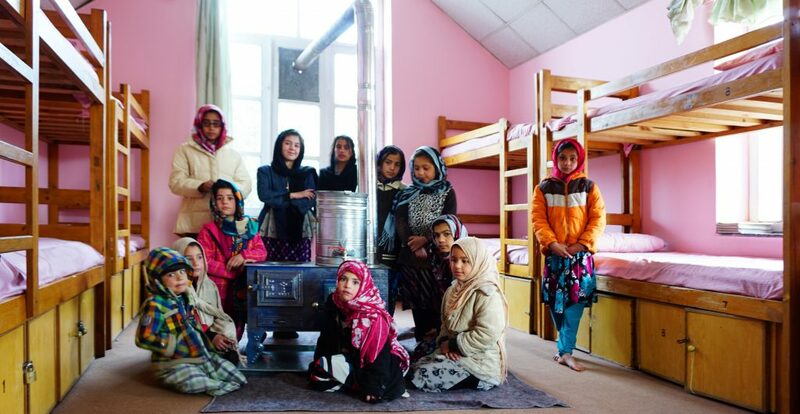 In their dorms, they have their small own empires simply put together with a bed and cupboard. Nevertheless, this is more than most of their families could offer them at home. The project is not just of temporal character. Thanks to the financial support of ‘Else-Kröner-Fresenius-Stiftung’ the project was flourishing. Unfortunately, the funding period expired in 2016. Now the future of the house is uncertain. That is one of the reason, why Cultivating Peace e.V. chose that amazing project. We want to support “Paiwand-e-Noor” with your help, so that the fountain of light continues to spark. Apart from paying the staff and costs of maintenance, we also want to invest in IT-equipment for the project. Precisely, the project ‚Paiwand-e-Noor’ supports the children to get regular school education and complete their degrees. Afterwards they can decide if they want to pursue a craft training or any higher level of education. Moreover, at the house the boys and girls can learn to carpenter or tailor. 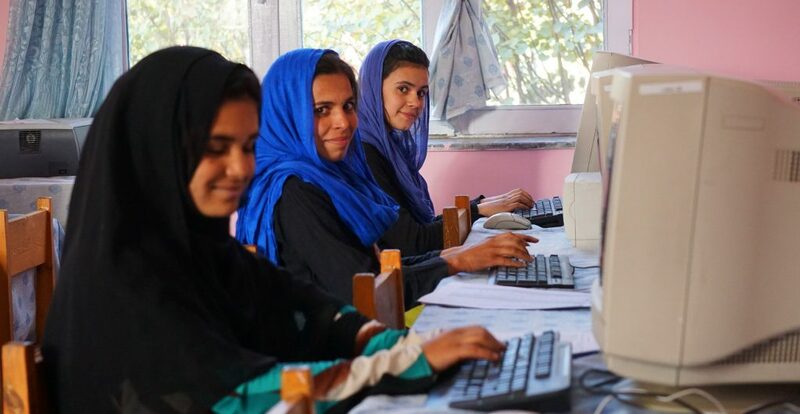 They are offered diverse tangible knowledge, which might serve them to earn for a living in their future.